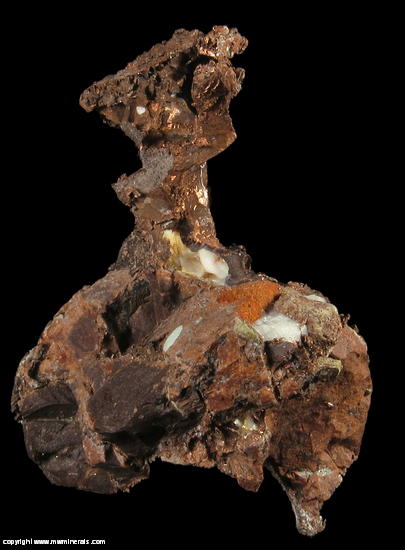 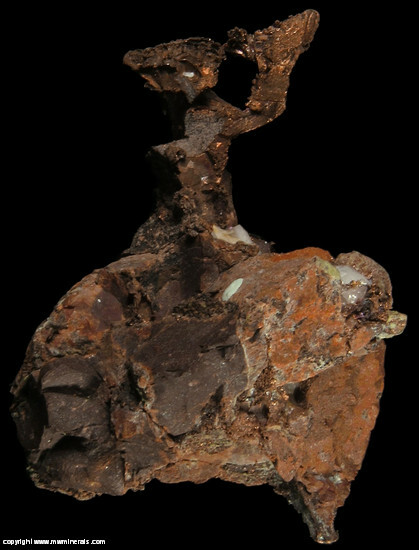 Native Copper rises from a matrix of conglomerate composed of cobbles. 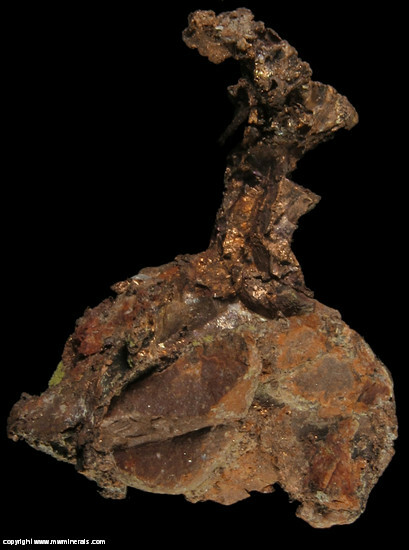 The Copper has casts after Calcite which appears to have been etched away. 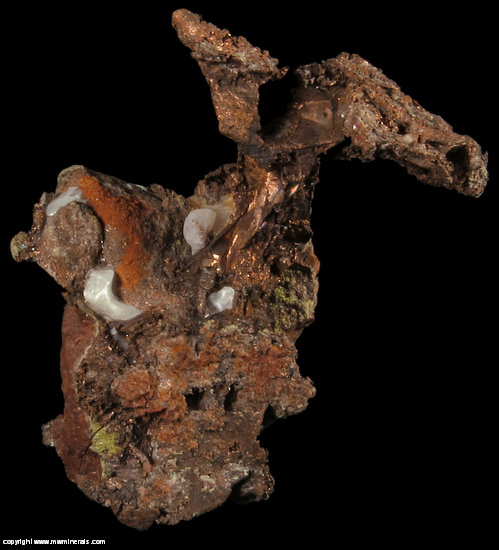 The specimen stands upright without any propping as depicted in the photos.